The Field Manual gives advice on evaluating structural, geotechnical, and nonstructural risks, and advice on how to rate the safety significance of certain types of damage. In addition, the Manual covers related topics of interest to safety personnel, including (a) how to deal with owners and occupants of damaged buildings; and (b) field safety issues. Evaluation forms and posting placards, represented in the document in small-scale size, can be downloaded free of charge below. 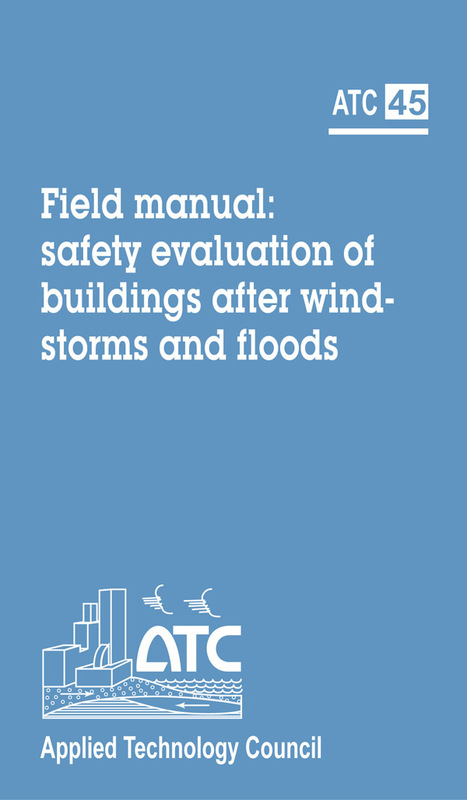 The Field Manual is patterned after the concepts developed in two earlier ATC projects: (1) the ATC-20 project, whereby ATC developed the well-known and widely used ATC-20 report, Procedures for Postearthquake Safety Evaluation of Buildings; companion ATC-20-1 Field Manual, and ATC-20-2 Addendum, which contains updated evaluation forms and placards; and (2) the ATC-26 project, whereby ATC developed several sets of procedures for postdisaster safety evaluation of U. S. Postal Service (USPS) facilities, including procedures for safety evaluation of USPS facilities after windstorms and floods.